Today we kick off “Data Driven,” a series of articles examining the volume of data generated by emerging technologies. We begin by exploring the data impact of the Internet of Things. The drive to make information more mobile and accessible is already looking like a watershed moment in our technological development. Whether for personal convenience, business or just to keep in better touch with our friends and family, the Internet of Things (IoT) and cloud computing are slowly but inexorably changing life on planet Earth. Of course, the age of ubiquitous computing and always-on personal and corporate clouds might feel like it’s introducing more questions than answers so far. If our entire future is going to be heavily data-driven, where does that data live, exactly? What does our astounding appetite for data mean for the world’s data centers? The accumulation, storage, transmission and sale of data of all kinds is an industrial revolution unto itself. Here’s a look at some of the biggest questions and implications raised by this transformation so far. How Will All Our IoT Data Be Stored and Processed? Some industry experts predict that something like 92 percent of future human activities will rely on, or be stored in, the cloud. Of course, the cloud isn’t a single platform — it’s a worldwide network of separate, but sometimes complementary, internets and intranets. The IoT is the next logical leap toward ubiquitous, cloud-based computing. Whereas most of us are used to downloading or uploading data using familiar devices like desktop and laptop computers, smartphones and tablets, the IoT is a web of connectivity that adds smart functionality to ordinary objects. Clothing is among the connected “things” generating IoT data. 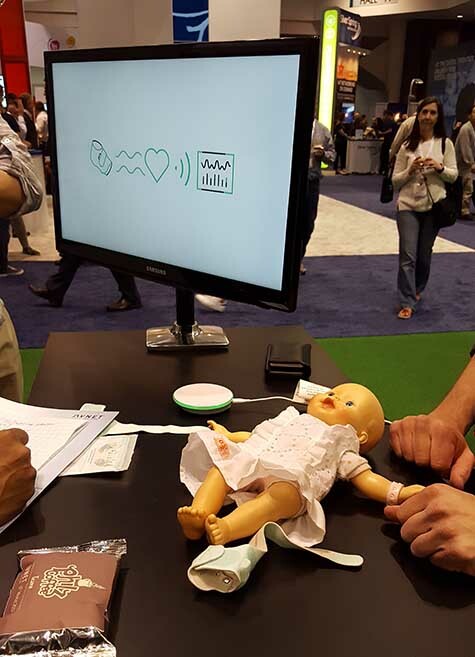 The Owlet Smart Sock monitors infants’ heart rate and blood oxygen and alerts parents to significant changes. (Photo: Rich Miller). This includes items like watches, fitness trackers, refrigerators, garage doors, lightbulbs, power outlets, surge protectors, bathroom scales and, if you can believe it, even socks, shoes, shirts, jackets and other articles of clothing. If you’re already reading between the lines, you know the sheer variety of industrial- and consumer-level technologies is producing, and will continue to produce, an almost unimaginable amount of data. 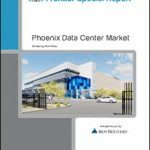 That means more data centers will be needed, boosting demand for more processing and data storage capacity. The question of how best to prepare ourselves, including our infrastructure, is a bit of an open question. The security implications are plain as day, too. Some consumers and companies build their own private clouds to sidestep some of the potential problems, but even these aren’t immune to attacks. In 2018, the world will collectively spend $1.5 billion to keep data safe. It’s not hard to see why: Almost 20 percent of organizations making daily use of the IoT experienced one or more breaches or attacks over the past three calendar years. Keeping data safe is only one part of the equation. 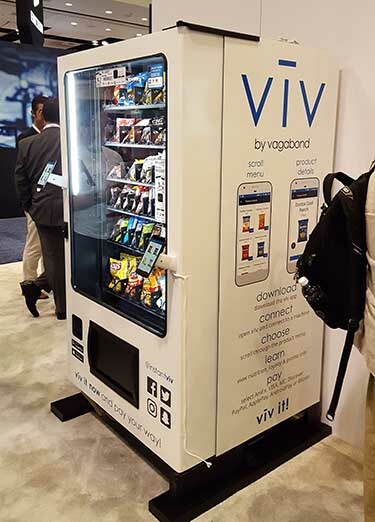 As IoT devices proliferate and we find new ways to apply them to entertainment and commerce, we can expect brand-new cottage industries to spring up around the management of these devices and the analyzing and processing of the data they produce. APIs and other resources that have been specifically designed to interface with IoT products will see greater demand as a result. What IoT Trends Influence How Much Data We Create? Internet adoption across the globe has exploded in recent years, to put it mildly. According to Cisco’s Visual Networking Index Forecast, by 2021, there will be 4.6 billion internet users around the globe operating 27.1 billion individual networked devices. Even if they’re not always conscious of it, each of those 27 billion devices will generate vast amounts of data in their daily operations. Of course, the type of data being consumed and stored plays a role, too. By 2021, video content is projected to represent 82 percent of internet traffic. Because most of our personal devices can’t always be relied upon to have enough storage space, all that video – not to mention our text message records, emails, work documents, family photos and finances – won’t be stored locally. All of it will reside in cloud storage. In fact, the popularization of cloud storage providers like Dropbox, Microsoft, IBM, Amazon, AT&T, Oracle, Google and Apple means the cloud was storing more than 1 exabyte — that’s over 1 billion gigabytes — of our collective data just a couple of years ago. We’ll talk more about the long-term implications of the growth of personal and public clouds in a few moments and give an update on where things might be headed. What New IoT Applications Are Creating Data? What, specifically, are these devices? What promise do they hold? The massive quantity of data we create and store in a given year, as a species, wouldn’t be possible without the clear advantages of connected tech taking hold in nearly every industry. On the consumer side of things, connected set-top boxes, smart TVs and predictive assistants on our handheld devices are the biggest drivers of data accrual. On the corporate side of things, the IoT industry is bolstered by Internet-connected field devices, utility meters, sensors, health care technology and smart building technology such as automated lighting, security and HVAC. The realms of manufacturing, insurance and health care have the most profitability to gain by leveraging the IoT, according to experts. Taken individually, any one of these technology families is going to have a huge impact on the data industry. Connected smart home technology alone is expected to become a $490 billion industry by 2020. What Do Projections Say About Data Storage Requirements for IoT Data? We mentioned above that the cloud collectively stored more than 1 exabyte of data just a couple of years ago. So where are things headed from here? To begin with, according to our best estimates, Internet users together produce 2.5 quintillion bytes of data every single day. In an average minute, YouTube delivers 4.1 million videos, Google provides results for 3.6 million internet searches and Wikipedia pages undergo 600 edits. By 2025, the people of the world will, each year, produce 163 zettabytes of data. You might be forgiven for wondering what we’re even doing with that much information. The writing has been on the wall for a long time now: Human civilization has become dependent upon our information infrastructure for nearly every part of our waking lives. Whether it’s developing smarter sensors to monitor manufacturing bottlenecks, transitioning to digital patient health records, calling upon our bank statements while we’re on vacation or simply entertaining ourselves, our appetite for data is only going to grow. So will our need for reliable technologies to house it all and keep it ready to access at a moment’s notice. 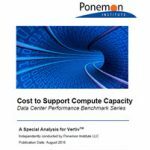 Interestingly, research from within the data industry indicates that while we will continue to generate more and more life-critical data with each passing year, the amount of data we actually commit to physical storage — be it a local hard drive or a remote data center — is expected to decline. Why? Because doing so will eventually become practically impossible. More to the point, it’s simply not necessary. If businesses are expected to represent 60 percent of the annual data generated by 2025, it’ll be because many of them require real-time analytical insights. IoT devices can help keep plant managers in touch with the conditions inside refrigerated trucks, for example, or allow a top-down view of an entire supply chain to determine where the bottlenecks are. This type of immediately useful, but ultimately ephemeral, data is making us more agile and adaptive than ever, but it shouldn’t contribute much to our need for long-term storage solutions. In fact, some estimates say 2017 will be the peak year for new data centers and that the number of data facilities in the world will decrease from that point on. There were 8.6 million active data centers in 2017. This likely represents a rotation of data storage out of on-premises data centers and IT closets, and into hyperscale data centers operated by cloud platforms and service providers. Nevertheless, our need for data isn’t going anywhere. Even if the number of data storage facilities is expected to decline, the role of cloud computing and the IoT will grow, rather than diminish. When we reach peak data center, it’ll be because fewer organizations will host their own data or build their own infrastructure, with the biggest players in the market consolidating their place in the industry.